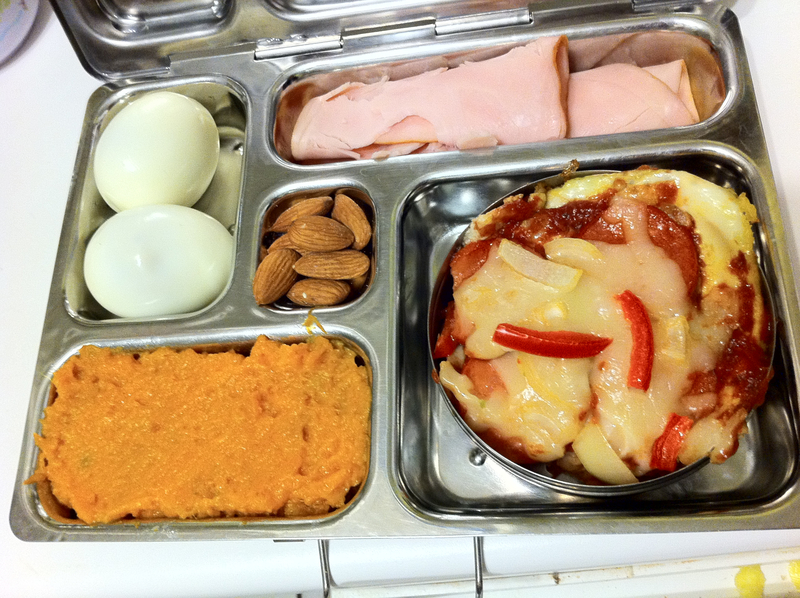 Lunch Box 12: Paleo Pizza! That's PIZZA with a bacon and egg crust! It’s been ages since my last post. Being a schooling-mom is proving to be an all-consuming, time-sucking experience! I spend pretty much all my free time contemplating one question: WHAT DID I GET MYSELF INTO???? However, I’ve been staying, let’s say….85% Paleo (the cheats come during my full-day study sessions at Starbucks. I eat bags of their fruit & nut trail mix…sugar and seed oil. Yuck. But yum…). The good news is that I’ve only had to purchase lunch on campus three times all semester. NOT BAD given my 3 days a week of crack-of-dawn classes and my 75-90 minute commute!!!! 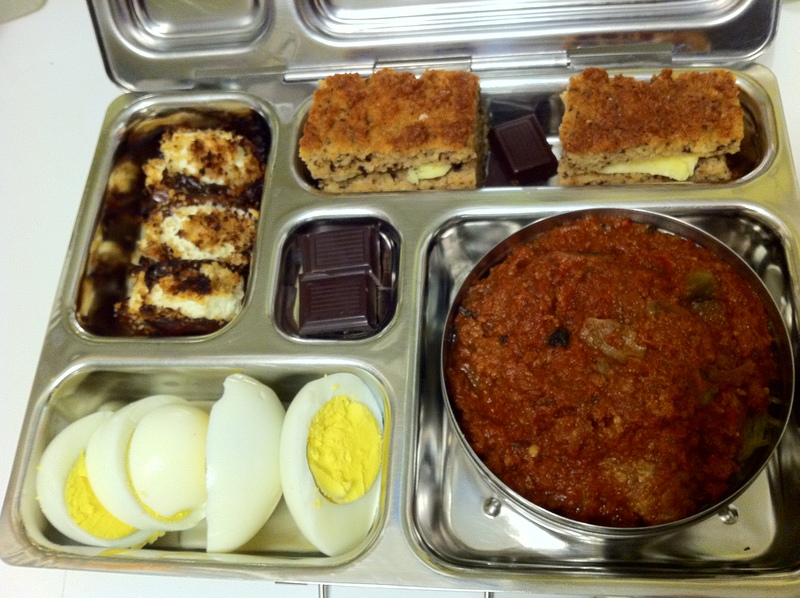 Go, lunch box, go! Being with me being so busy, my husband has taken over cooking dinners 100%. Tonight he made a Paleo Pizza from FastPaleo.com. It’s AWESOME! AWE-SOME! A-W-E-S-O-M-E. Try it. And with the farmer’s market over for the season (insert countless sad faces here), we’ve signed up for the food box that the market has coordinated to get us through from November-June. That means: SWEET POTATOES. Lots and lots of sweet potatoes (my current favourite vehicle for grass-fed butter)!